Pressurising customers to make their mind up is more likely to cost a sale than create one. Bad news for pushy sales people: putting pressure on us to buy now or miss out doesn’t necessarily make us go for limited-time offers. In fact, a super-short ultimatum makes it less likely we’ll bite. In a recent experiment, we gave participants a series of time-limited offers to discover their motivations for accepting or rejecting the opportunity. Offers were actually less likely to be chosen when time pressure was high than when it was low: increasing the period during which a time-limited offer was available from 4 to 12 seconds increased the probability that the time-limited offer was chosen by 13 per cent. A decision to accept or reject a time-limited offer may be made under time pressure, and consumers may respond to this pressure by using rules of thumb that favour the choice of time-limited offers. Accepting a time-limited offer is less risky than continuing to search for a better price, and it is known that most people prefer to avoid risk even in decisions that involve very small stakes. A common tactic by salespeople is to make offers that (it is claimed) will be withdrawn unless accepted immediately. Familiar examples of time-limited offers include the doorstep seller who claims that he is currently ‘in the area’ but will not be returning; the telephone seller who makes a ‘special offer’ that can be accepted only during that phone call; the internet site that offers a buy-now discount; and the seller of a used car who claims that another buyer has shown great interest in it and will be returning shortly. Firms use time-limited offers to deter consumers from searching for lower prices. Because time-limited offers reduce competition between firms, they can lead to increases in market prices. Our research shows that certain properties of consumers’ psychology, particularly aversion to small-scale risk, make time-limited offers particularly attractive, and that this attraction is stronger when consumers are not subject to high time pressure. There is growing concern that by using cookies to track the identities of website visitors, internet sellers may remove low-price offers between a potential buyer’s first and second visit. Such time-limited offers create barriers to the search processes by which consumers compare prices, with the result that prices increase and the goods that consumers buy are less well matched to their preferences. There are a number of psychological reasons for expecting consumers’ choices to be biased in favour of time-limited offers. A consumer who rejects the offer and continues to search may find that the rejected offer was in fact the best available, and this may induce painful feelings of regret. Choosing the offer and terminating the search process can be a method of avoiding regret. The experiment investigated the extent of these biases. Participants chose from a sequence of alternative price offers, one of which might be time limited, under various conditions. These price search problems were matched with choices between lotteries, to test whether consumers were particularly averse to the risks involved in rejecting time-limited offers. We find no evidence that the tendency for consumers to choose time-limited offers was intensified by desires to avoid regret. Participants’ choices between accepting and rejecting time-limited offers reveal an overall tendency towards risk aversion. This tendency is much stronger when time pressure is low than when it is high. When time pressure is low, decisions about accepting or rejecting time limited offers are more risk-averse than equivalent choices between certainties and lotteries. In conclusion, firms use time-limited offers to deter consumers from searching for lower prices. The search-deterring effects of time-limited offers are intensified by psychological factors, particularly when consumers are not subject to high time pressure. This article was originally published by LSE Business Review, and is based on the authors’ paper ‘Take it or leave it: experimental evidence on the effect of time-limited offers on consumer behaviour’, presented in this year’s Annual Conference of the Royal Economic Society. How do retailers decide where to locate new stores? Why do consumers behave in a particular manner? How does a frozen pea get from harvest to a supermarket freezer? How do independent and online businesses compete with high street chains? These are just some of the many questions answered throughout this collection of video material that looks in depth at the dynamic and innovative retail industry, and what the future might have in store for retailers and businesses alike. Store operations, globalisation, ethics, supply chains and retail environments are some other areas which are explored, while industry experts discuss the influence and power of the internet as a marketing and distribution tool. 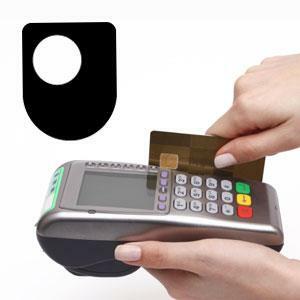 This material forms part of The Open University course B122 An introduction to retail management and marketing.